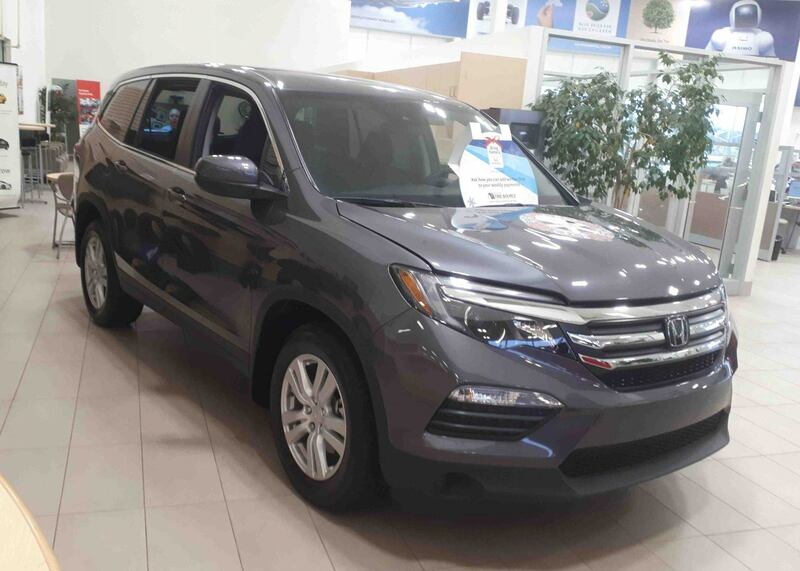 Our last 2018 Pilot is on display, and waiting for you! 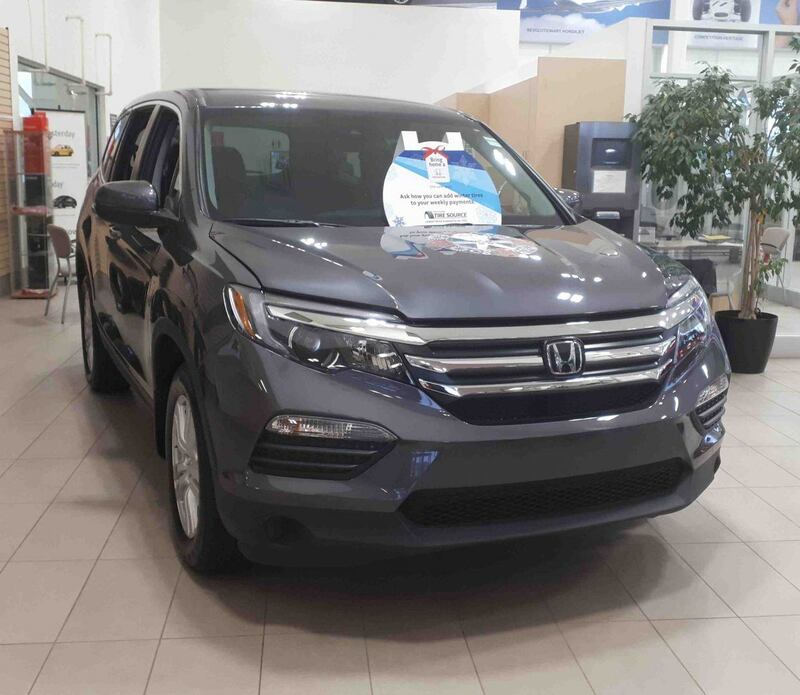 Come and see our 2018 Pilot LX, and get it before it is gone! This SUV is shown in Lunar Silver Metallic, and features a black fabric interior. Under the hood is a 3.5L, 24-valve, Direct Injection, SOHC, i-VTEC, V6 engine with a 6-speed automatic transmission. All together, it has an average fuel economy of 13.0/9.3/11.3 L/100km (city/highway/combination), and an available towing capacity of 1,588 or 2,268kg. The 2018 Pilot LX comes with an excellent cache of safety and entertainment technology! It comes equipped with the entire Honda Sensing group of safety features! This includes the Collision Mitigation Braking System, Forward Collision Warning, Road Departure Mitigation, and more! 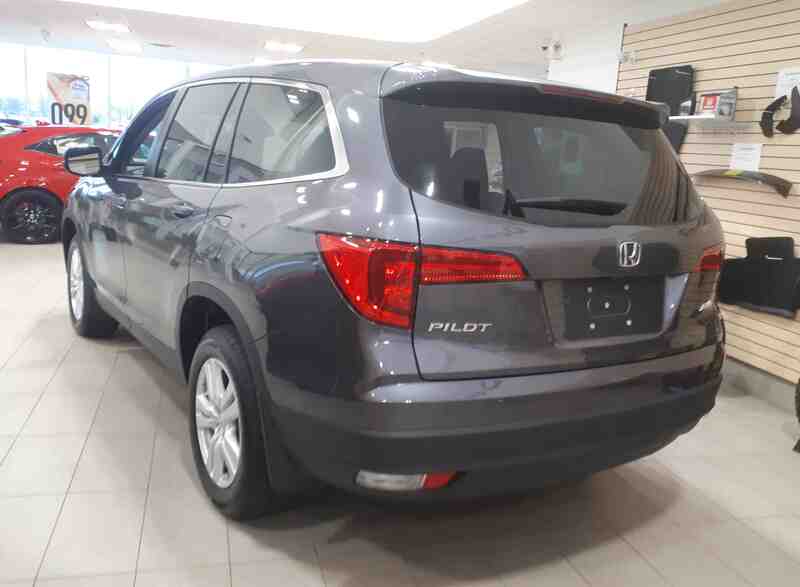 This Pilot also features a multi-angle rearview camera, remote engine starter, proximity key entry, and pushbutton start! For using apps, texting, or handsfree calling, you can use the Pilot’s Apple CarPlay, Android Auto, or HondaLink! If you have any questions about our last 2018 Pilot, click here to contact us! Want to see more of the 2018 Pilot? Click here!